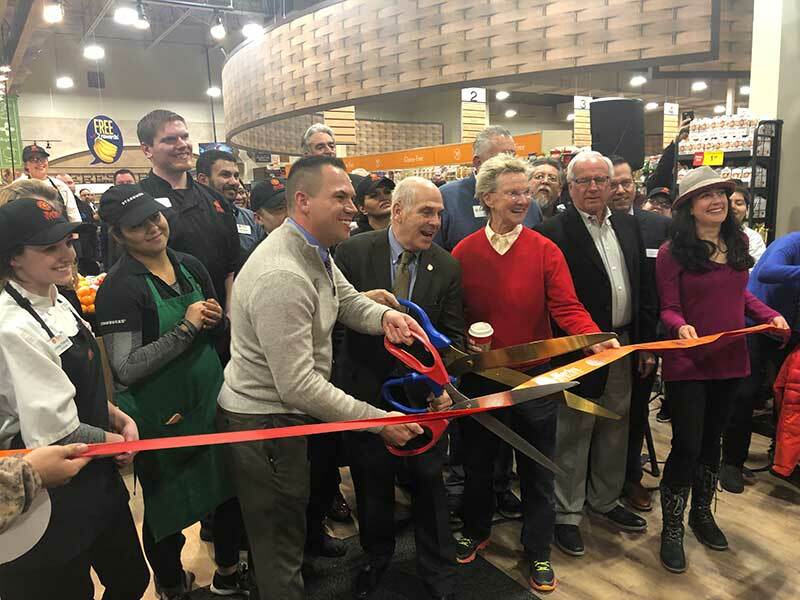 More than 300 customers waited in a line that wrapped around the newest Lazy Acres store in Long Beach, Calif., on Wednesday in anticipation of the grocer’s grand opening. 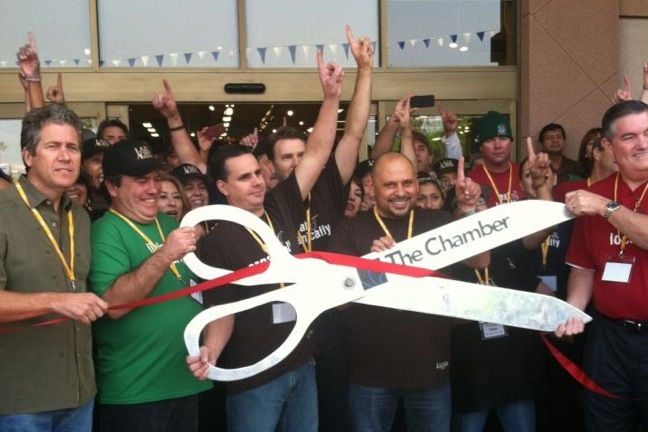 “We’re real excited about the turnout that we’ve had for the grand opening,” Kevin Davis, president and CEO of Bristol Farms, which owns the Lazy Acres banner, told The Shelby Report during the grand opening festivities. The 30,000-s.f. 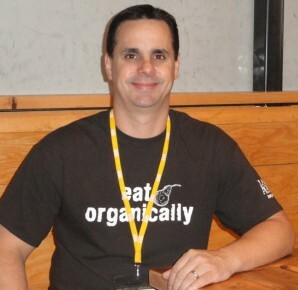 Long Beach Lazy Acres store is the natural and organic banner’s second. It formerly was a Bristol Farms store. The other Lazy Acres store is located in Santa Barbara. The Long Beach Lazy Acres is located at 2080 Bellflower Blvd. 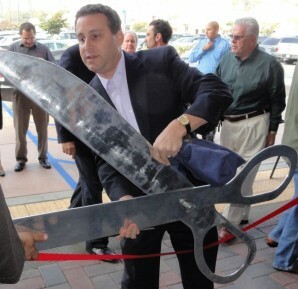 The Long Beach Chamber of Commerce assisted with Wednesday’s ribbon cutting. Patrick Posey, VP of sales for Bristol Farms, says the Long Beach opening has been a long time coming. 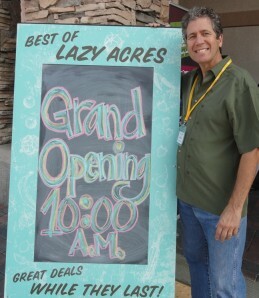 Posey said that, while the Bristol Farms store in Long Beach did “OK,” the Lazy Acres banner is a better fit for the community. Jack Nassie, Lazy Acres store director, agrees, mentioning his excitement about the Long Beach store’s natural vitamin supplement department. 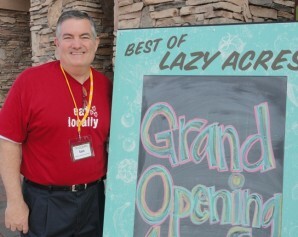 In addition to a vast selection across all departments, Lazy Acres’ customer-focus is what keeps guests coming back, according to Jack Sage, grocery manager for Lazy Acres. 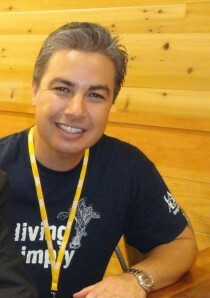 The Long Beach store’s appearance also is attractive to customers. In fact, Sage reports that, just 48 hours before the grand opening, construction and finishing touches were still under way on the Long Beach store. 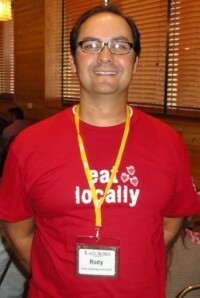 Lazy Acres Brand Manager Rudy Chavez shared that sentiment. 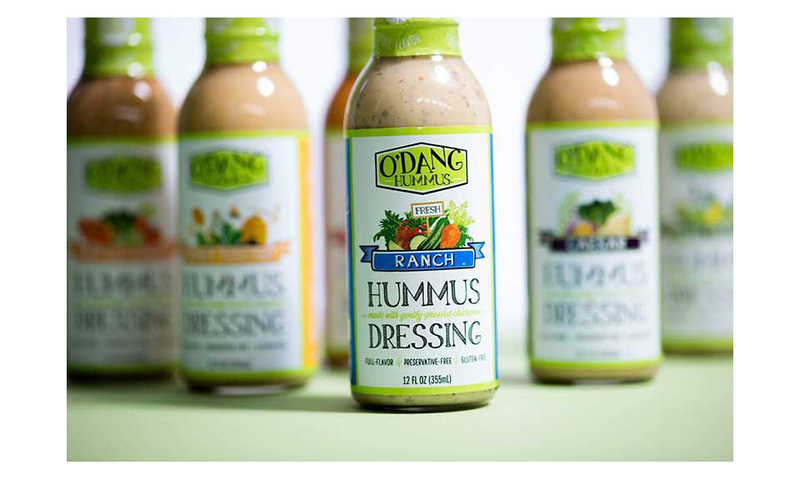 Though there currently are no announced plans for a third Lazy Acres, Sam Masterson, the company’s EVP of operations, reveals Bristol Farms is always on the lookout for new opportunities. “We’re constantly looking and evaluating new sites and…we anticipate there might be some opportunities for us in the very near future,” he said. “But most importantly this (Lazy Acres) concept allows us to bifurcate the trade area and offer up two distinctly different formats that can function and succeed in distinctly different trade areas. • Fresh sushi prepared daily by master sushi chefs with many all natural, sustainable items. The Long Beach Lazy Acres store’s design work was carried out by DL English Design Studio, owned by Deborah English who previously served as VP of design and construction for Bristol Farms. 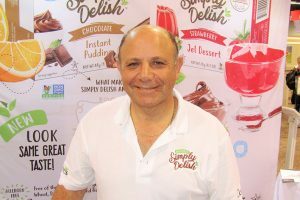 English’s Southern California-based prototype design firm specializes in work primarily for supermarket and food retail. That also meant correctly interpreting the word “lazy,” vital to the grocer’s namesake.